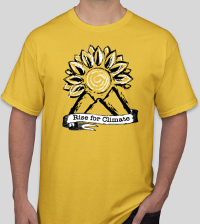 Order a Rise for Climate or SanDiego350 T-shirt! 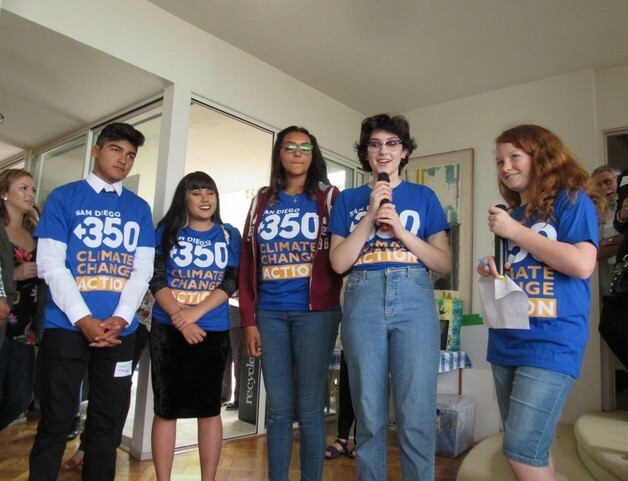 Order your Rise for Climate and SanDiego350 t-shirts and support grassroots climate action in San Diego County. 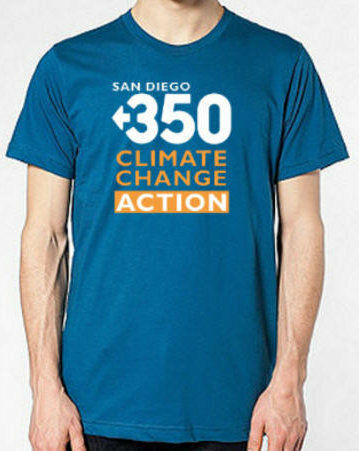 Shirts will be available for pickup at upcoming SanDiego350 events (see our calendar) or other arrangements can be made. Our three shirt options are (Left to Right below - click on image to enlarge): 1) Rise for Climate - Hills Style; 2) Rise for Climate - Resistance Style; 3) SanDiego350. Note: these are US made cotton shirts in unisex sizes only. Unfortunately, our system doesn't allow you to select multiple shirts of the same size - you can either place a separate order or email us for help. 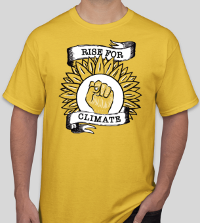 US made yellow cotton t-shirts with a sun, hills and Rise for Climate. Unisex sizes only. US made yellow cotton t-shirts with a sunflower, fist and Rise for Climate. Unisex sizes only. US made cotton royal blue t-shirts with the SanDiego350 logo. Unisex sizes.